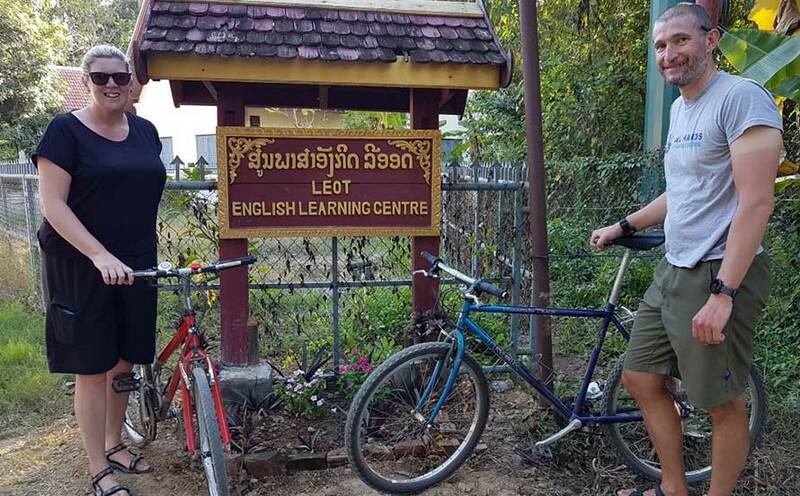 Helen and Dan recently visited Luang Prabang and when they left donated their two bikes to the school. They are excellent second-hand bikes and will be used by students to get to school who cannot afford to buy their own bike. We now have 28 bikes for our students to use. With 300 students we are always happy to accept donations of bikes or money to purchase bikes. A standard type bike costs USD $80. Thanks to Helen and Dan! Khop chai lai lai.